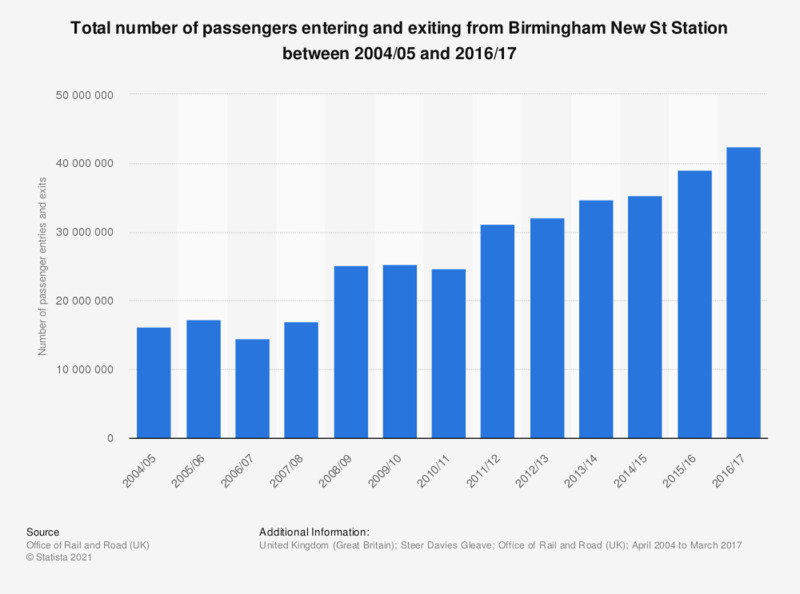 This statistic shows the number of passengers entering and exiting from Birmingham New Street Station between 2004/05 and 2016/17. The station experienced growth, albeit unsteady, over this period. The number of passengers passing through the station doubled from 16 million in 2004/05 to 32 million in 2012/13. In the year 2016/17 the number of passengers reached 42 million.